I’ve been listening to a lot of talks lately by Sir Ken Robinson, whose life’s passion is education reform. In short, he wants to see creativity and the arts being given as much value in schools as core subjects such as science and maths. Amongst other things, he wants dance to be a compulsory subject for school children … and why not? Why is creativity the scourge of education? Why do we value the ability to get the right answer over the ability to construct a new answer? I’ve spent many years being educated – from primary school at the age of 5 to 12, through to secondary school at 13 to 17, and straight on to University. In those years I’ve had a few memorable teachers – some who were exceptional, and some who were abysmal – and many in-between. I remember one professor in particular who ran the English department at my university. He told our class that he had been teaching and marking the same Shakespeare paper for the past 20 or so years, and every year, he read similar essays arguing the same points. He then said that if we could argue a different side, if we could pull something out of the play that was different or unexpected and could cite enough examples to make it valid, we would likely get a better mark than if we just parroted the usual spiel about how Iago represents the dark side of Othello’s soul. I remember this because I still remember one of the essays that I prepared and wrote for my exam. The essay was on Shakespeare’s The Tempest, and my point of difference was to argue that Caliban was a victim, not a villain. Now I’m not claiming to be the first person to do this (I am certainly not) but as I went through the play, pulling out Caliban’s lines and redefining them to shape my argument around them, I began to feel a deep sympathy for and interest in the character. I can’t remember what mark I got for that essay – I think I finished the paper with a B+ – but to this day, The Tempest remains my favourite of Shakespeare’s plays, and Caliban my favourite character. And deep in the files of my laptop are several documents for a YA novel, loosely based on The Tempest, which casts Caliban as the heroic lead. Maybe one day I’ll write it. We cannot be afraid to be wrong. We cannot be afraid to take chances. Without my professor’s caveat, I would probably have sat down and written the usual boring essays for my Shakespeare exam out of fear of being penalised for trying something new. Because of him, I dove headfirst into those five plays, and found out more about them and my own ability for critical thinking than I ever had before. Not everyone got so excited by this opportunity. Some of my classmates were satisfied to work within the usual parameters and get the usual answers, and one of my classmates was concerned that if she didn’t give a non-generic answer, that she would be penalised, and had to be reassured otherwise. But I thrived on the chance to create my own opinion. People say there’s no reason to teach Shakespeare in schools – but what better reason than that? I was always a good student. I worked hard, I got diligence awards year after year after year, although by the time I reached the end of my final year of high school I was getting disillusioned and bored. I remember getting full marks for an English assignment on advertising, where we had to break down the words and images used in print advertisements and discuss how they attempted to persuade consumers of the need for their product. I thrived on that – I found it easy and could have done it for hours. I struggled with Maths and other subjects though – my strength has always been in critical and lateral thinking, not in memorizing facts and formulas. I went to University because I was deemed to be “bright” and because I couldn’t think of anything better to do. I learned a lot from being there, but I look back and wonder whether it was the best decision I could’ve made at the time. These days, I strongly encourage school leavers to take a gap year, or two, or three. To go overseas and discover themselves and learn about the world before they commit to a career path and a student loan. 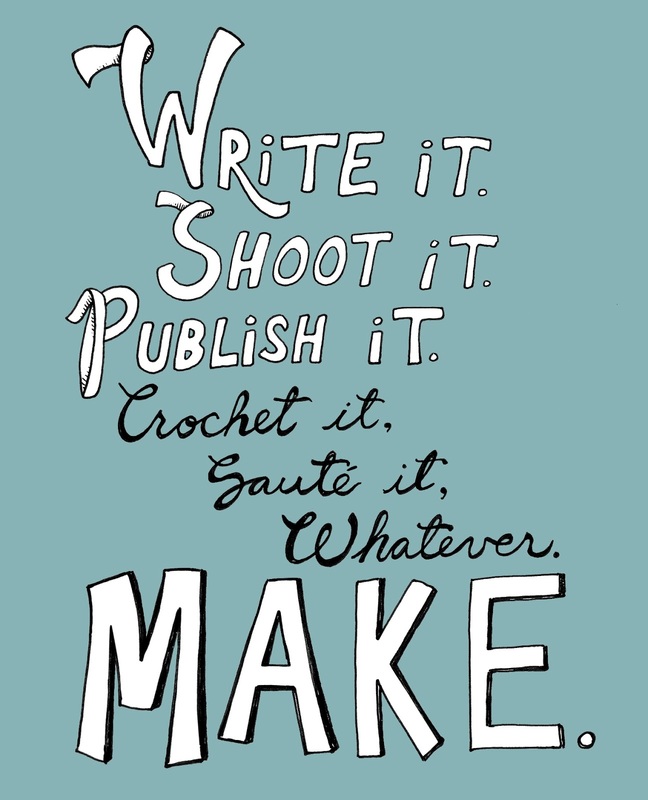 Writing has always been my forte, and I’ve never felt discouraged in it. My parents in particular have always encouraged it, although they were not quite so encouraging of my inability to put a book down while eating breakfast or (supposedly) going to sleep. (Sidenote: Kindles must make that a whole lot easier for kids these days. I had to get really good at turning out a lightswitch silently.) But although I come from a family of artists, I am not overflowing with visually artistic talent. (In other words, when I draw a tree it only vaguely looks like a tree.) My sister is a very talented artist (she did the cover for How the Unicorn Lost his Horn, which I love) and has always had a flair for drawing and painting. I didn’t take art at school because I figured I would be no good at it. Now, I wonder if I should have. I like art. I enjoy visiting art galleries, and can sit and look at paintings for hours. I am pretty decent at photography and videography and have a good eye for framing a shot. But I never considered myself to be in any way good at art. Interestingly enough, some of my favourite artworks feature words. 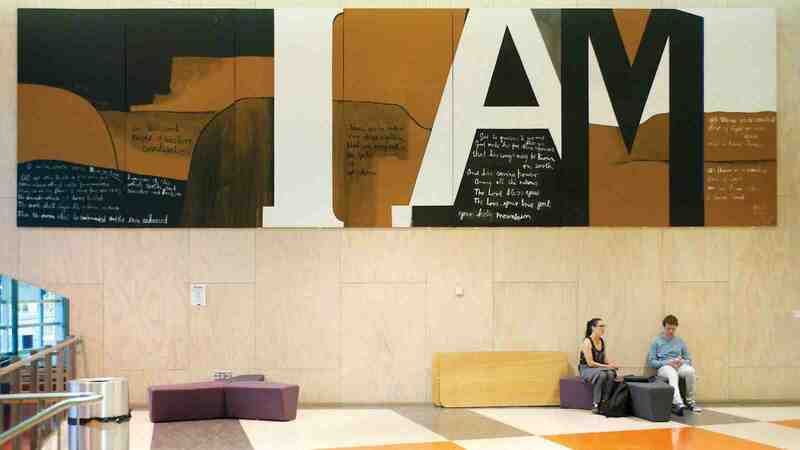 I love the work of New Zealand artist Colin McCahon. My mother thinks his work is rubbish, and one of my forms of teenage rebellion was to have a poster of his artwork Gate III on my wall (hardly high rebellion, but it was on the spectrum, nonetheless.) Mum doesn’t see the value in art that doesn’t look photo-realistic (to which I say, why not just take a photo then?). She looks at McCahon’s work and scoffs. “I could do that,” she says. Click here for more quotes from Sir Ken Robinson, or listen to some of his TED talks.